The UCF Zoom II is a multi-functional wizard! 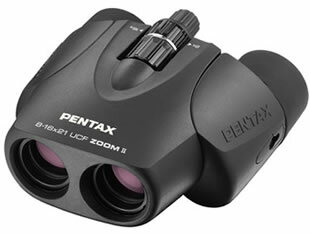 In one compact and lightweight binoculars you have the power to observe with 8 to 16x magnification by simply turning the central wheel. Add to this the aspherical lens elements for edge-to-edge sharpness, BaK4 prisms and fully multi-coated lenses to enhance brightness & contrast, and voila, you have the perfect travel companion who won't let you miss a thing! Comes complete with straps and carry case and a 30 year warranty!